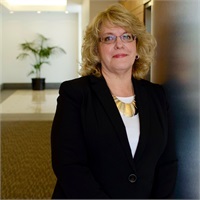 Renée began her public accounting career in 1981 right out of high school in Northern California for a CPA firm in San Francisco. There she began her college education at the College of Marin in Accounting and completed her Associates degree at Ventura College after moving to SoCal in 1986. She strayed from the accounting field from 1997-2007 to work as a Senior Loan Processor in the mortgage industry. In 2008, she returned to accounting and began working for a local CPA firm who eventually Carey & Hanna purchased in 2015. When she’s not balancing her client’s books, you can usually find her at home in her craft room trying out new and creative projects found on Pinterest. She shares her home with her husband and their 100lb. Old English Bulldog Buddy. Renee is excited to be a part of the Carey & Hanna team.